Images of my latest unit, The White Company and my English army. 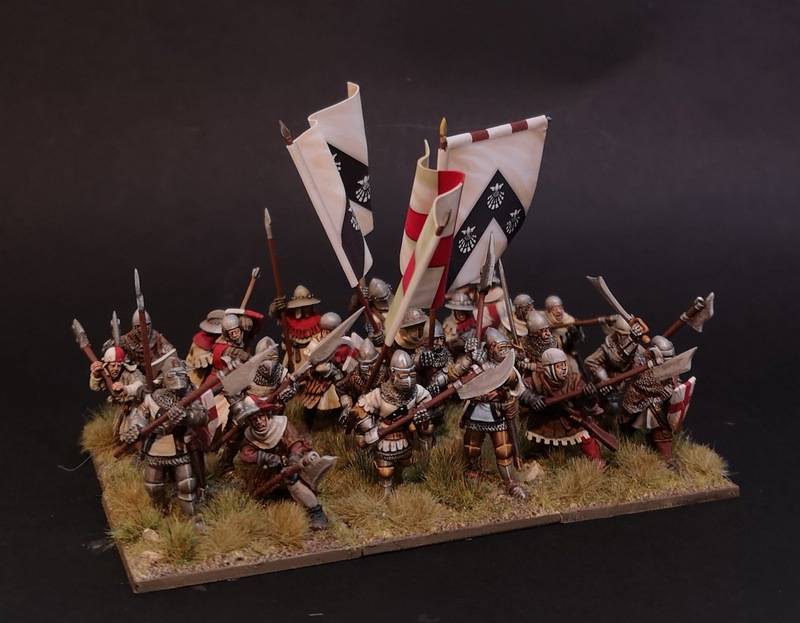 All Claymore Castings Flags by Flags of War. Great looking figures for a most-famous warband! Beautiful! I'm very tempted to pick up some of these Claymore Castings sculpts but I have no experience with historicals. What would be a good place to find references for how to paint them? Most beautiful units, stunning job! So beautifull black, white and red colours! One tends to run out of superlatives when you complete a unit David, well done yet again for these little masterpieces. Fine work from the great master of a brush!! !